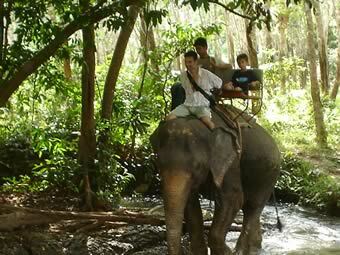 We've resisted putting up elephant trekking for a while now, but had a change of heart due to popular pressure. The clincher was enjoyment the little ones got out of it. 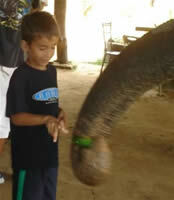 This is a special experience for kids. 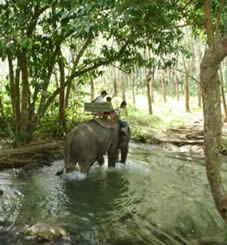 Riding through the jungle on the back of an elephant is not forgotten quickly. 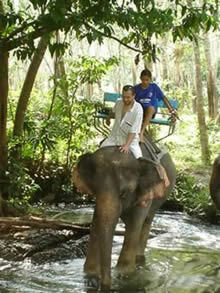 Nosey parkers is a well run operation and the owner takes good care of each of his elephants. 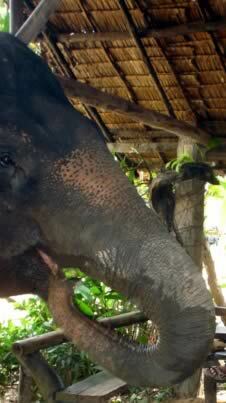 The elephants eat an enormous amount, on average each one eating $500.00 us dollars a month and $500 buys an unbelievable amount of food in Thailand.. 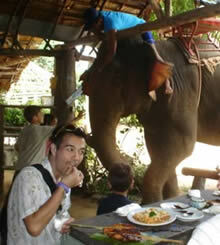 The lunch on the half day tour may end up getting shared with the elephants if your not quick! I highly recommend both these trips. 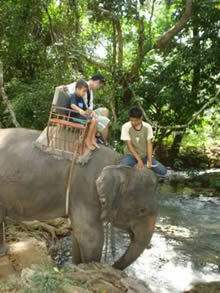 When ever we have family and friends visiting us here in Krabi its on the list of things to do. 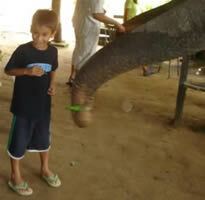 Our son Aaron loves the elephants and is a big fan. We went to Nosey Parker and it was Fantastic. Excellent service, incredible kind and friendly people. 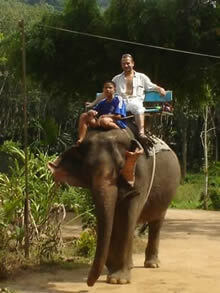 It was one of the highlights of our vacation. Sack and Dam and the rest of the crew were amazing. Please pass along our enthusiasm and appreciation.